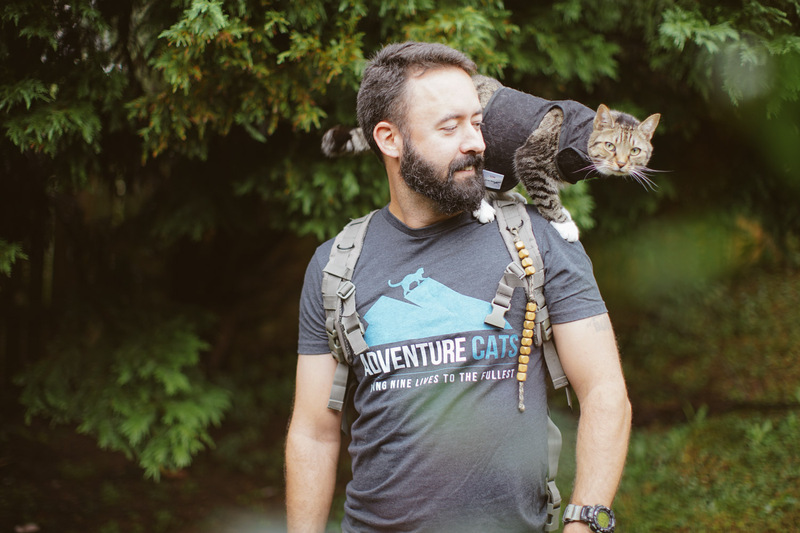 When it comes to adventure cats, the outdoorsy types seem to get all the love. 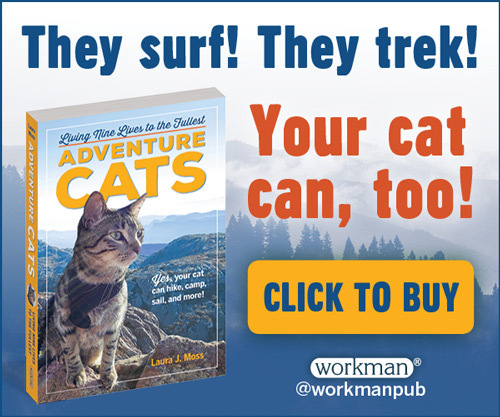 But for felines who prefer a more familiar environment, adventures simply look a little different. 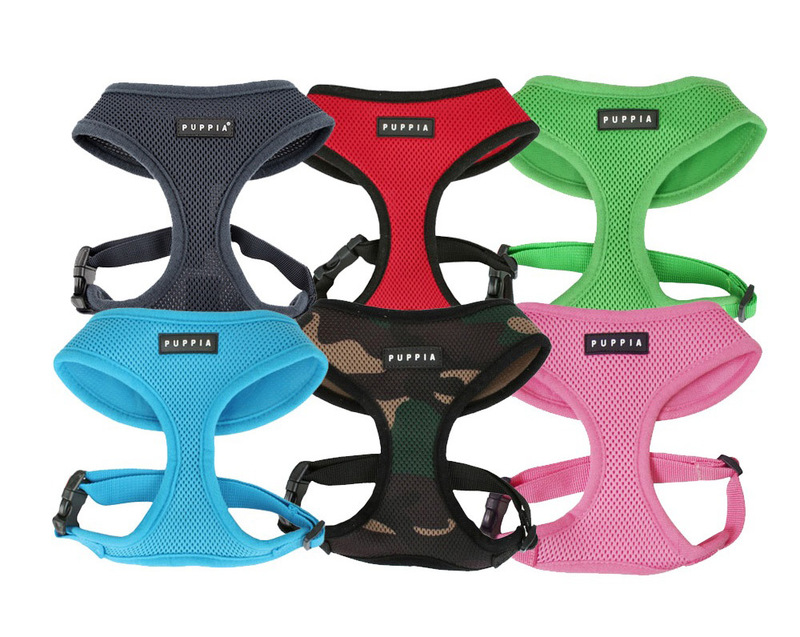 No harness required. 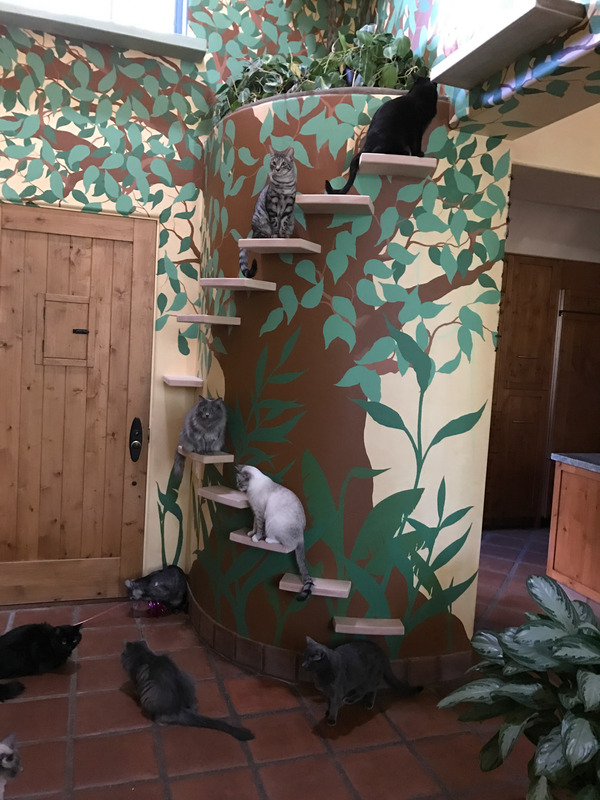 Cat lover Peter Cohen turned his Santa Barbara, California, home into a veritable theme park for his 22 rescue cats with dozens of catwalks, cubbies, hideaways and elevated spaces for their indoor adventures. The home is covered in them and his cats — Smokey, Vanilla, Poppyseed, Butter, Nutter, Coffeebean, Donut, Secret, Cheesecake, Chocolate, MiniBean, Climber, Mikan, Mango, Nugget, Smudge, Jupiter Jones, Blackbird, Cookie Monster, The Professor, Crumple and Rumple — spend entire days going on the kind of excursions many kitties only dream of. Peter Cohen’s home is a feline paradise. 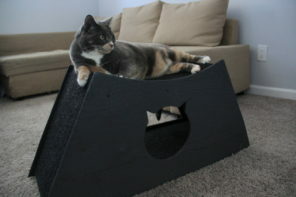 Cohen, who owns a construction company, says the design was inspired by Bob Walker’s book The Cats’ House, which highlighted the catwalks the author constructed for his feline friends. 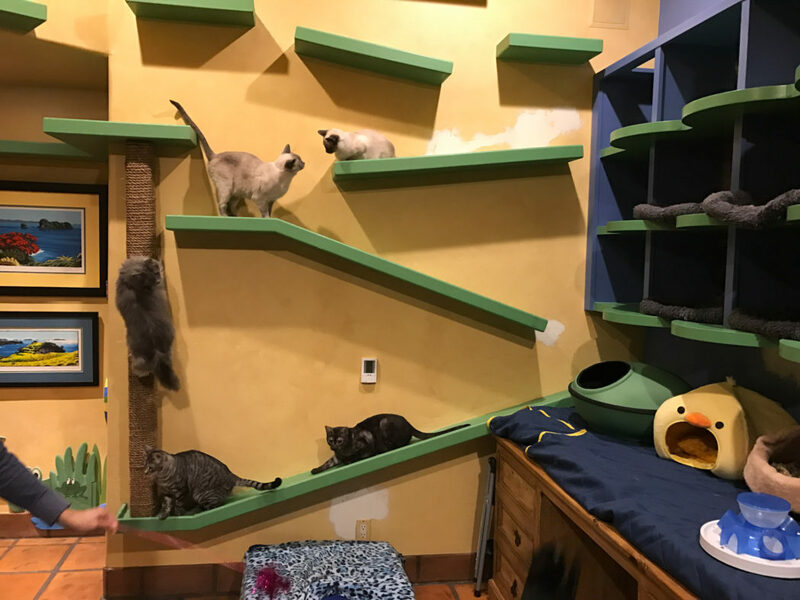 Cohen decided to add some of the elevated catwalks to his own home. 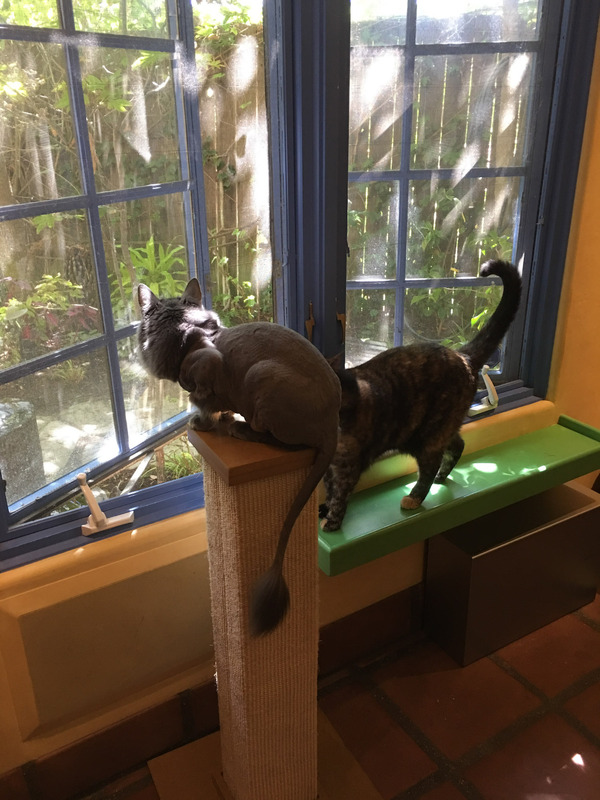 Cohen designed all the home’s feline-friendly features himself, with his carpenters finishing the work, so it’s an environment that both he and the cats can enjoy. Cohen appreciates the architectural details and colors, while the cats get explore in the entire house — not just the floor. Every room of the house is full of ramps, stairs, catwalks and toys. Cohen’s habitat is definitely interesting. So interesting, in fact, that it’s hard to pick a favorite spot. “While there are many catwalks I like, one of the most fun is the spiral ramp that is in my office,” he said. Of course, the house wasn’t always so conducive to adventuring. 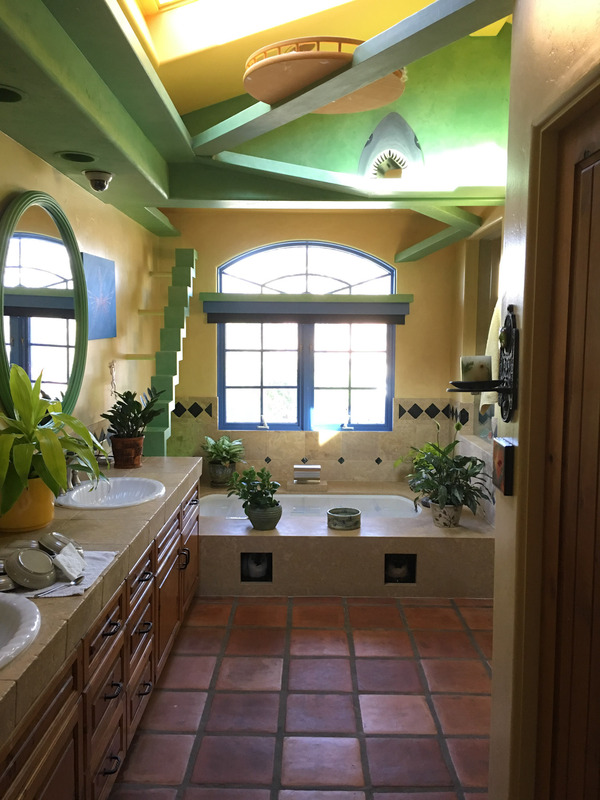 When Cohen purchased the home in 1988, it came with two stray cats that the previous owners had been feeding outdoors. When both were struck by cars within months of each other, killing the first and seriously injuring the second, Cohen decided to make the surviving kitty an indoor pet. They adopted two kittens to keep her company, and the rest, as they say, is history. Rescue cats became Cohen’s passion. It’s a relationship that’s mutually beneficial. With his indoor paradise, Cohen plans on creating homes for more rescues. In fact, he’s in the process of adopting his 23rd cat, a kitten named Kabocha. It’s the Japanese word for pumpkin. 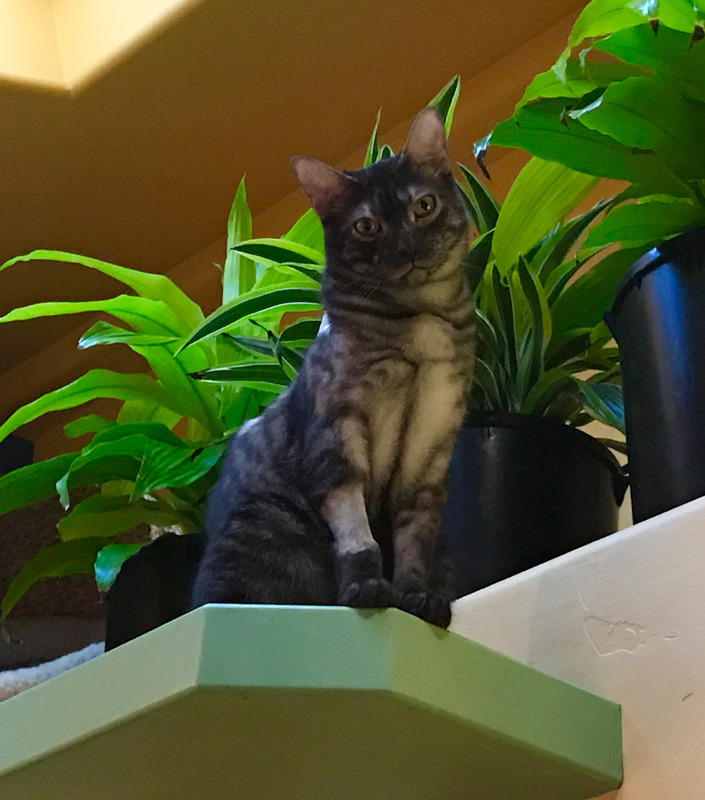 With so many cats, Cohen has faced many challenges over the years, but the one that is most important to him is Feline Infectious Peritonitis, or FIP — a rare mutation of a very common feline virus. While most cats are carriers of the non-mutated virus, FIP affects only about one in 5,000 cats. However, the disease is almost always fatal, and it also tends to be more prevalent in environments with multiple cats. Of the nearly 40 cats he has adopted over the years, Cohen has had two kittens develop FIP. Peter Cohen snuggles Miss Bean. His first was Miss Bean, the runt of a litter of five he along adopted with her sister, Vanilla. After Miss Bean’s spay surgery, she never recovered her kittenish energy. Her lethargy eventually led to an FIP diagnosis. 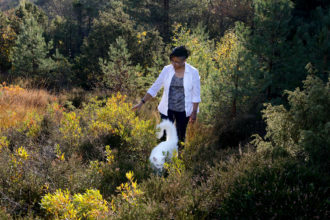 Almost immediately following her diagnosis, she rapidly deteriorated. 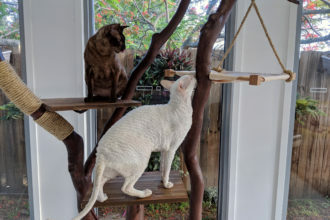 Cohen prepared for having to euthanize his sweet kitty, but then a follower of ZenByCat on Facebook contacted him about a drug trial being conducted at University of California-Davis. At first, Miss Bean responded well to the treatment, but soon after her fever spiked and stayed that way for several days before she finally recovered her energy. Cohen was optimistic. 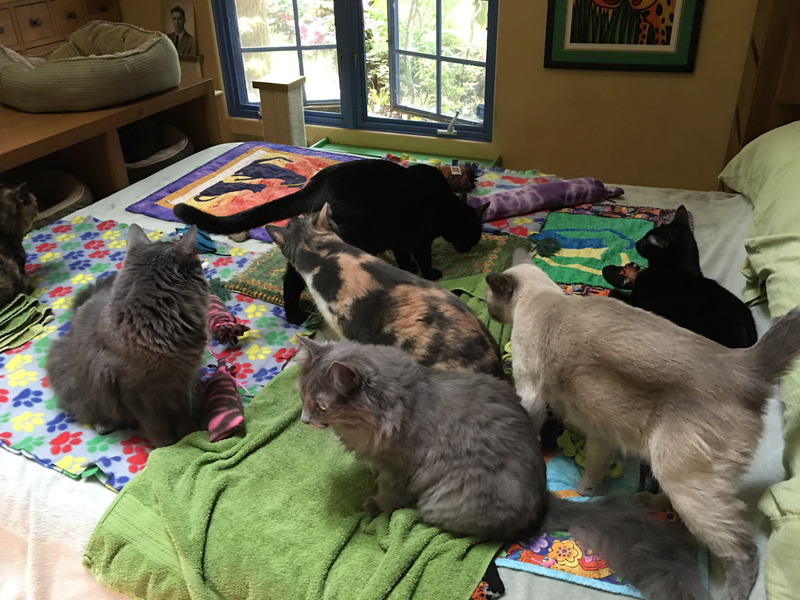 “Over the next 17 days, Miss Bean and I went on a roller coaster of improvements and setbacks against the dreaded, deadly FIP, including two more miracles overcoming infections and fluids,” Cohen stated on his website. The roller coaster seemed to be due to the uniqueness of Miss Bean’s condition. The doctors said her virus seemed to be more resistant to the drug than the other cats they were treating. Eventually, Miss Bean’s immune system became too damaged from the ups and downs and she lost her fight with FIP. While he is sad that he lost his sweet Miss Bean, Cohen says he’s grateful he was able to spend time with her throughout her treatment. Smokey is alive and well and enjoying all the perks of his feline-friendly home. One cat who has benefitted from their research is Smokey, one of Cohen’s 22 foster kitties, who also took part in the clinical trial. Except in Smokey’s case, the drug worked. Smokey began to improve, and he continues to grow stronger. Smokey has been off the experimental drug that put his FIP into remission for almost 11 months now and remains completely healthy. Against all odds, his doctors are now using the word “cured” instead of simply saying Smokey is in remission. “He is one of seven cats in the world that so far, have beaten FIP,” Cohen said. And now Cohen is focused on curing FIP. 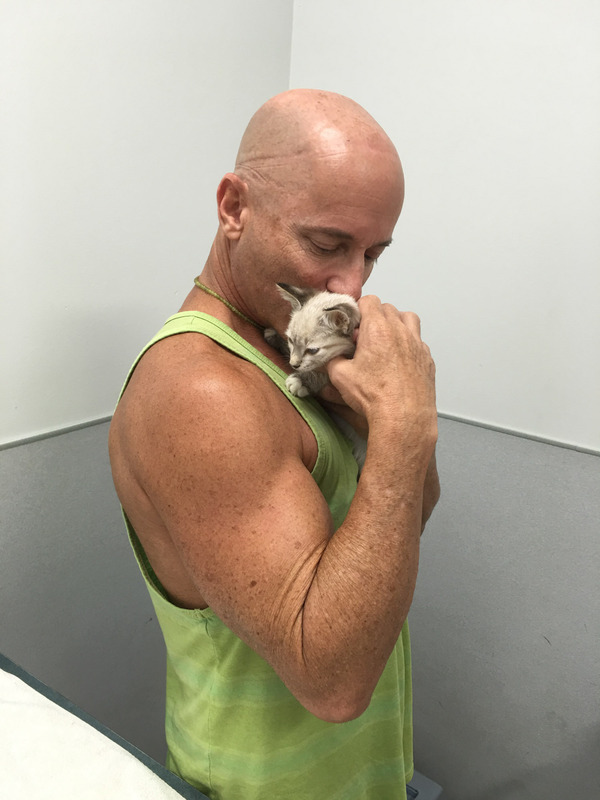 Peter Cohen is determined to find a cure for FIP and make life better for all cats. 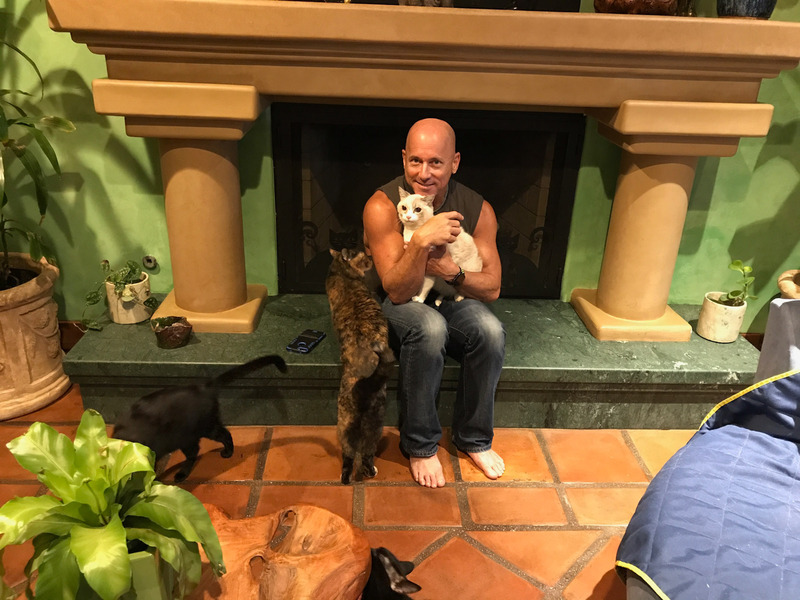 To that end, Cohen’s nonprofit ZenByCat is dedicated to raising both awareness and money to find a cure for FIP, and Cohen hopes to do that within the next few years. ZenByCat is a 5013c nonprofit with 90 cents of every dollar raised going directly to help researchers. ZenByCat uses the remaining 10 cents to help cover some of the overhead and awareness costs. Of course, Miss Bean and Smokey have left their paw prints on Cohen’s heart and his home in other ways as well. Bean’s sister Vanilla has befriended Smokey.